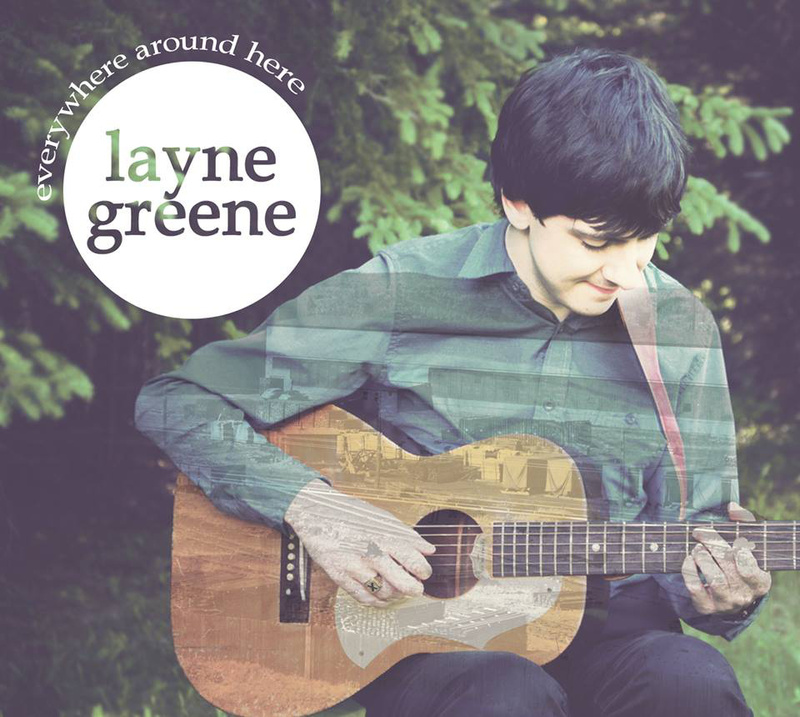 Everywhere Around Here by Canadian singer-songwriter Layne Greene Is A Thing OF Beauty. I got two physical copies and one digital copy of the album. I am displaying the two copies in my book shelves because I love the packaging. But I take the digital copy where ever I go-to the gym, the beach and the park. Right now I am listening to it inside Starbucks while writing this blog. Lane Greene’s music has a way of soothing me when I am stressed. The songs also make me feel like I am in a safe environment. The drums, bass, guitars and other instruments have that sparkling but soft quality. I love the production as I think this is truly represents his music. Every time I listen to it, I notice new things. I love it when an album reveals to you something in pieces. Unlike most young singer-songwriters that sound generic, his approach is mature and diverse. Fiddles, glockenspiel and other folk instruments make themselves heard in Everywhere Around Here. This dude is really enlightening and you could spend hours and hours with his talking about genres and history of music and he has a lot to say about them. He loves what he is dong and he knows where he is going with his career. He knows his assets and limitations. He knows he is not Ryan Addams or Neil Young so he doesn’t try to be. When he sings, he does so within his range. He also uses his voice as an instrument, layering them, harmonising them making something awesome out of the ordinary. He is not a rockstar type but an artist who likes to make music as a lifetime career. All nine songs are worth hearing. The album has nine songs. Some of them already appeared in his previous EPs. I think he has more than five of them out before he was twenty-two. But these songs have undergone many arrangements. They have also experienced the stage as performing live is what he likes to do. I remember the many time he busked under harsh weather and people loved what he’s doing. My favourite is Quiet Places because the song has a good beat and it builds up this wonderful thing. But there are songs worth noting like Iron Town which has a special meaning to him. The current single is Look Out. You should see the video because it’s really amazing! He is a fantastic artist. He fascinates me endlessly and I love to chronicle his career. I think I will do so until I am old. I hope this post will urge you to listen to Everywhere Around Here. Get it and support this dude. There is no one quite like him.